A judge in U.S. District Court has upheld a $368.2 million prior judgment against Apple in a suit with VirnetX, finding that Apple infringed networking patents with its FaceTime video chat feature. As noted early on Wednesday by Seeking Alpha, Judge Leonard Davis found in favor of intellectual property and patent holding firm VirnetX, which claimed that Apple's FaceTime feature violates VirnetX's VPN patents. 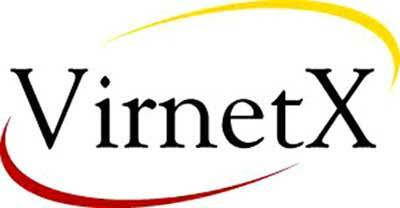 Virnet first filed suit against Apple in November of 2011, claiming that the iPhone 4S infringed on U.S. Patent No. 8,05,181 for a "Method for Establishing Secure Communication Link Between Computers of Virtual Private Network." Judge Davis' decision awards VirnetX $368,160,000 and denies Apple's request for a new trial. VirnetX will also receive a daily award from Apple in the amount of $330,211 per day until everything regarding royalties in the case, as well as any additional details, is settled. The judge ordered the two parties to meet in order to decide on royalty arrangements. If the two have not reached an agreement within 45 days  at which point VirnetX's daily award would reach $14,859,495  Judge Davis will make a ruling himself. In 2010, the company raised similar allegations against Apple, Cisco Systems, Astra Technologies, and NEC corporation. On the day a Texas jury handed down VirnetX's initial victory, the company filed suit against Apple again, adding the iPhone 5, fourth-generation iPad, iPad mini, fifth-generation iPod touch, and "the latest Macintosh computers" to its claim.